 Iran, Oct. 23, 2018 - Resistance units, making up the vast network of the Iranian opposition People's Mojahedin Organization of Iran (PMOI/MEK) inside the country, are continuing their recent activities. They are marking the 25th anniversary of October 22, the day when Mrs. Maryam Rajavi was selected by the opposition coalition National Council of Resistance of Iran (NCRI) as the Iranian Resistance President-elect for the transitional period after the mullahs’ overthrow. Members of a resistance unit in Urmia (Orumiyeh) of northwest Iran put up a poster containing a large image of Maryam Rajavi and the slogan of “Democracy - Freedom, With Maryam Rajavi”. In Tehran, members of the Resistance Unit 999 put up a poster of Maryam Rajavi to mark this day. Resistance Unit 511, 913 and others in Tehran were seen carrying out the same type of measures. It is worth noting that these are very dangerous procedures as the Iranian regime considers support for the PMOI/MEK as punishable by death. All the while, more youths and people across Tehran and throughout the country are voicing their support for the PMOI/MEK and joining their network inside Iran. Members of a resistance unit in Rasht, northern Iran, put various tracts of Maryam Rajavi. Members of numerous resistance units in Khuzestan and Fars provinces also put up Maryam Rajavi posters. Resistance unit members in Qazvin, northwest Iran, marked this day by also putting up posters of Maryam Rajavi. Members of a resistance unit in Chabahar, southern Iran, put up a tract of Maryam Rajavi. In Sistan & Baluchistan Province, southeast Iran, members of the PMOI/MEK Martyr “Azim Naroie” put up a large PMOI/MEK flag marking this day.